Sometimes it just doesn’t work out! Sometimes you may need to give your dog away. There are many reasons this may happen but it all boils down to the fact that you need to find a new home for your dog, you need to give your dog away. Giving away a dog can be very stressful for both you and the dog. So it needs to be done with care and sensitivity. Animal shelters do a great job but there seems to be a disconnection between staff and the dogs. Don’t get me wrong – the staff are awesome and do a wonderful job. But how can you get close to a dog that is about to leave or, worse case, about to be put down? Rescue Pets Australia bypasses the middle man and puts you in direct touch with the potential new owner. The one time you surrender your dog is when that new owner picks it up – not when you have to leave it at a shelter. You can the be happy knowing that your dog is not waiting to be loved in a shelter but with the people who will now be their family. Less stress, less anxiety and less cost. 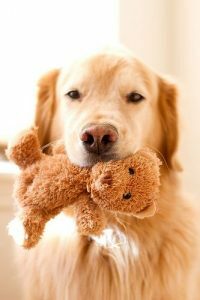 When you do give your dog to their new owner it is always a good idea to provide some of their familiar toys or bedding to help with the dogs transition. They are going somewhere completely new so it is a good idea for some of their things to go with them. Dogs get scarred and frightened and need that comfort sometimes just as much as we do. Having their bed or blanket follow them to their new home really helps. Every dog has its unique likes, routines and fears so when you surrender your dog give the new owner a list of what your dog loves and dislikes – this will be a great help getting the dog settled in their new home.